We at Yantrah focus on hands-on education, we teach 3D CAD designing, programming, STEAM and robotics. 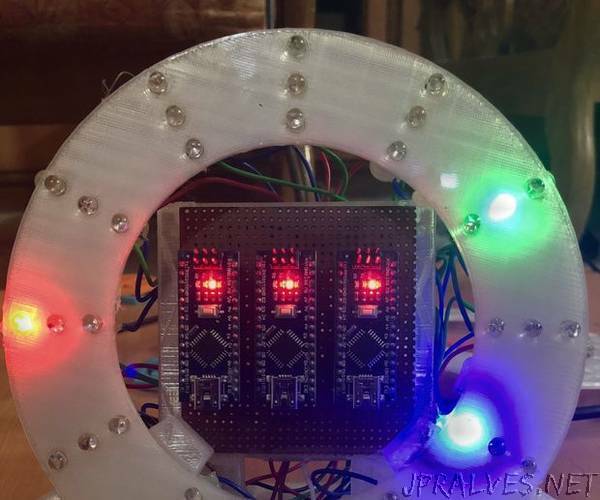 This is a simple arduino based 3d printed clock with flashing LEDs to show the hour, minutes and seconds passed . We designed and coded the whole clock in TINKERCAD. TINKERCAD is very easy web-based CAD software which allows you to design 3D models and also has a circuit feature that allows you to code and simulate circuits. Follow the instructions below to make one yourself!